For a change I made a layout, using photo taken my daughter and son. 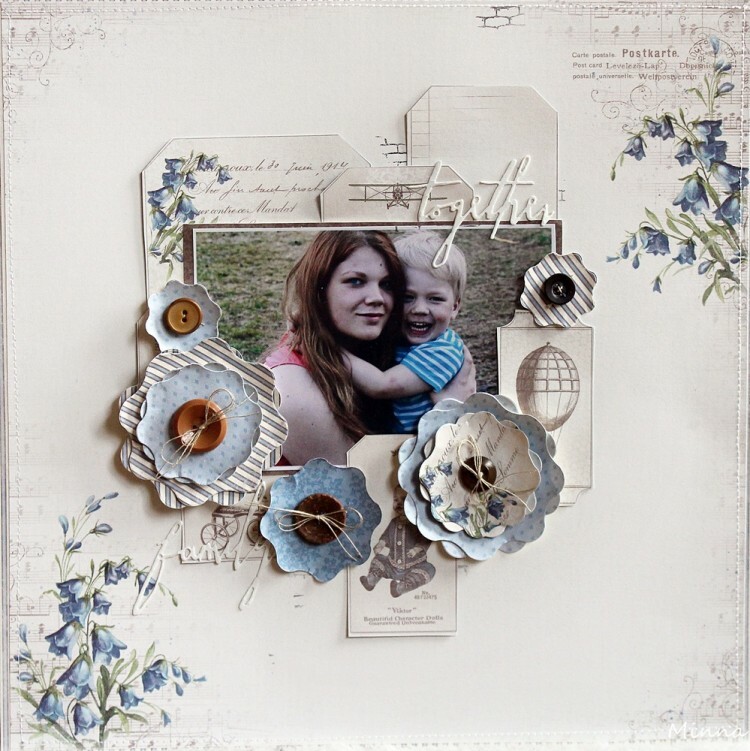 I used beautiful blue toned papers from the “My Beloved Son” collection. This is lovely, Minna! Love the words you put on the layout, and the flowers, too! Very nice shades of blue!